Like the history of most religions, the history of Islam is complex and much debated. But there are a few elements that are not in dispute, chief among them that the God of the Quran is the same as the God of the Bible and of the Torah before it. The mission of Islam, as expressed in the Quran, is not to bring a new faith, but to update the messages of the monotheistic faiths before it. It is therefore surprising to see, as The National reports today, that a Malaysian court has ruled that a Christian newspaper may not use the word “Allah” to refer to God. The court overturned a previous decision by a lower court, ruling that “Allah” as a term is not exclusive to Islam. This causes a problem for the country’s substantial Christian minority, who have used the word “Allah” to refer to God for decades. In a fellow Muslim country with substantial Christian and Hindu populations, this feels like the wrong decision. The UAE is rightly proud of its society that allows people from all over the world to practise their faiths openly and without discrimination. Indeed, that inclusiveness is inherent in Islam. One of the reasons Islam was able to spread so far, so rapidly, was the inclusive nature of the faith: for at least two centuries after the coming of Islam, the Arabs ruled vast regions where the majority were not Muslims. 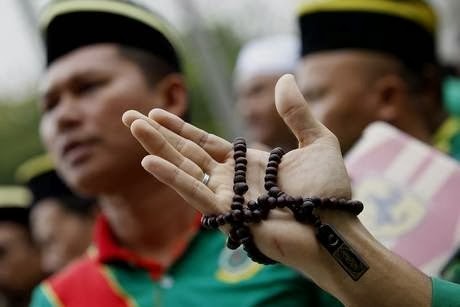 The word “Allah” is never exclusive to Islam – indeed, both Christians and Jews used the word “Allah” to refer to God even before the coming of Islam. That remains the case today. When Christians across the Middle East pray to God, they use the term “Allah”. Walk into a church in Cairo, Baghdad or Beirut this coming Sunday and you will hear the name of “Allah” invoked. That also applies to the Jews of the Arab world, who for centuries have prayed to “Allah”. The Quran itself is explicit on this subject, declaring, in Surah Al Ankabut, that Muslims should tell People of the Book (Christians and Jews) that “our God and your God is one”. The Malaysian decision overlooks not merely the theology, but also the etymology of the word. The word “Allah” is derived from the Arabic “al-ilah”, the god. It’s found its way across the world and entered Malay from Arabic. Arabic as a language is a vehicle for faith, be that Christianity, Judaism or Islam. The God of the three monotheistic religions is the same god. It is unsurprising, therefore, that all three faiths in the Arabic-speaking world (and beyond) refer to God as “Allah”. And if they have the same God, they should have the right to call their deity by the same name.